Bond Street Bridge is the solo project of Auckland-based multi-instrumentalist and songwriter Sam Prebble. Since the release of The Mapamaker’s Art, Prebble has been busy, touring extensively in New Zealand, Australia and Europe and playing shows everywhere from dive bars to art galleries and festival stages. As well as his solo work as Bond Street Bridge, Prebble plays violin, mandolin and guitar for Reb Fountain and the Bandits and the Hannah Curwood Band, and is a long-standing member of Auckland folk-pop group The Broken Heartbreakers. In 2010, he hit the road in Europe, touring first with Tim Guy and then as stand-in violinist for Berlin-based NZ psychedelic post-rock ensemble An Emerald City. Along the way he has played shows alongside North American psychedelic heavyweights Black Mountain and the Black Angels, New York art-pop duo The Books, and Californian alt-folksters The Mountain Goats. Despite his involvement in this range of other projects, Prebble kept Spring Summer Awesome Winter a resolutely solo affair. He worked on the album in spare moments over a period of two years in between stints of touring and recording projects with other bands, capturing the whole thing with one microphone on an old laptop in the lounge or bedroom of a succession of tumbledown central Auckland villas. Crafting the record from the ground up, Prebble wrote the songs, played all the instruments, and engineered the recordings, involving other people only at the mixing and mastering stages. At that point Jamie Newman (Cinema 90) came on board as mixing engineer, and together they took the tracks to a studio in a barn north of Auckland, where Newman worked magic and made them sparkle. The solo approach gave Prebble the freedom to experiment with sounds and arrangements, producing a collection of songs that is at once intimate and unique. Using a sonic palette consisting of fingerpicked acoustic guitars, lush strings, chiming mandolins and glockenspiels, warm vocal harmonies and analogue synthesisers, antique organs and pianos, and found-sound beats from staple-guns and key-rings washed out with rich reverbs and tape delays, he created intricate soundscapes to surround his trademark wry observational lyrics. These songs tell stories from the fantastical to the mundane: love and distance, storms at sea and the crying of the gulls, history, memory, loss and wasted youth, getting to bed on time so you won’t be tired in the morning, and the feeling that any minute now somebody’s going to realise you’re bluffing. As the title suggests, most of the songs on the album deal with the passing of time and the changing of seasons in various ways. The album is brought to life by superb hand-painted cover art by Emily Cater. “I’m not alone, I’ve got the internet on my phone”, sings Sam Prebble on ‘Rats’, a song from his second album under the name Bond Street Bridge. It’s typical of the dry, occasionally black humour that runs through his lyrics on this rather special record. Prebble plays all the instruments here, and he could have easily made a fairly conventional folk singer-songwriter album, but has opted instead for a much more interesting hotch-potch of instrumental colours, all of which have their own connotations. For instance, there’s Spanish guitar, as well as folk-picking, but also violin, raw electronic beats and organ, and because all these parts are overdubbed, there’s something charming about their presentation that possibly comes from the creative spikes he went through in the process. Yes, folks, playing with yourself can be a good thing, even though your mother warned you might go blind. Those who need comparisons to buoy themselves might appreciate names like Nick Cave, Leonard Cohen and the Go-betweens. Not that Prebble sounds specifically like any one of these, or combination thereof… just that there’s a droll quality to his voice, together with rich, passionate, yet funny lyrics. His words also share a wonderful simplicity with the likes of Cohen. There’s something resonant about lines like “I’m going nowhere, and if you come too, we could stay there” (‘Birds’). And on ‘Now We Are Twenty-Eight’, he sings about being old enough to go to bed early and “read the books we should have read when we were 17”. Occasionally, there’s a real Celtic folk feel coming through, and a hint of old sea shanties. But mostly, Spring Summer Awesome Winter is simply a modest gem from a genuine talent. Auckland singer-songwriter Sam Prebble — who performs under moniker Bond Street Bridge (the actual bridge just around the corner from me, so he’s one of my “homies”) — is a longtime Elsewhere favourite. His intelligent lyrics, understated delivery and sense of the melodic was all over his wonderful debut album The Mapmaker’s Art, a Best of Elsewhere 2008 album. He’s a smart one with words as the droll title of his new album — Spring Summer Awesome Winter — implies. And again he delivers sometimes spare songs, but embellished with the lightest of sonic touches. He’s moved a little into Leonard Cohen/Nick Cave territory — the five minute opener Aimless where he comes off the dark prophet from the netherworld — but everywhere he drags the listener in with his oblique narratives and imagery, and those clever folk/alt.whatever arrangements. Gets a little Lloyd Cole into his delivery too, in a good way. 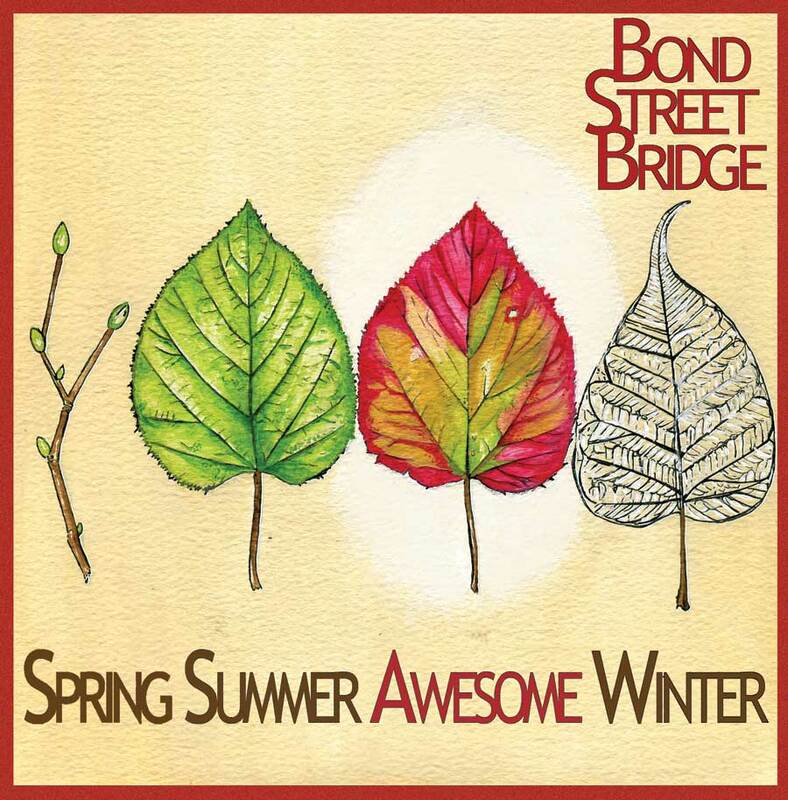 Bond Street Bridge is the solo ‘project’ of Sam Prebble, and ‘Spring Summer Awesome Winter’ is his second album released on Auckland indie Monkey Records under that name. This is a singer/songwriter alt-folk album, instrumentally lush, vocally intimate, and warm in tone. However, there is more than just alt-folk here: on Rats Prebble turns experimental, with chanting vocals, analogue synthesisers and organs used to give a sinister sound that is unlike anything else on the album, while on Aimless he channels Cohen and Cave both vocally, and in the southern gothic guitar work. Prebble wrote, performed and recorded the album, and only had mixing assistance from Jamie Newman (Cinema 90) at the end. This ‘one man band’ approach gave him the freedom to experiment with sound and further shape his own musical identity, and while the subject matter is universal – the passing of time, changing of seasons, life – it succeeds in that almost impossible task of making you want to listen to the songs over again to see if you’ve missed something.